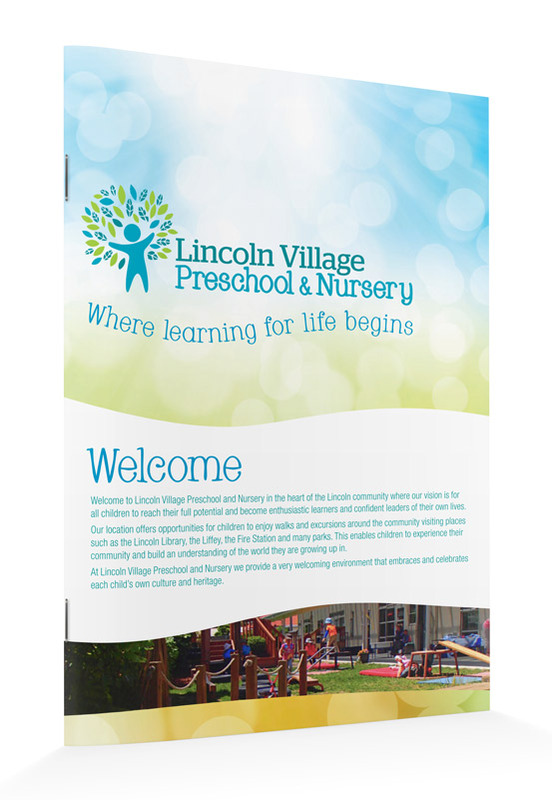 A logo created to reflect the community of Lincoln (the enviro town) and growth of the individual. A Brochure documenting their fantastic philosophy and centre and a Banner flag. Simple, bright and visible branding for outside their centre.